It's infuriating when a customer service rep doesn't care. After all, that's their job right? They're supposed to take care of your issue, help you out, and make you feel better. They're expected to put aside their own emotional baggage and deal with yours. But, so often they don't. If you're upset, they answer with a shoulder shrug. If there's a problem, they say, "Yeah, I know," and then do absolutely nothing about it. You ask if something's in stock and their complete and final answer is, "I don't know, check over there." There's no care. No hustle. No ownership. Take a moment to get inside these employees' heads. Forget what should be or what you think is right. See things from the employees' perspective. You might not agree with their lack of caring (I don't), but you'll begin to understand. Here are 13 reasons why customer service employees don't care. I got my first contact center job because I suddenly found myself needing a job right away and it was one I could get. That's how many employees find their way into customer service. (Not all, but many.) They don't have some grandiose vision of saving the world. They just need a paycheck. Customers look at the employee as a representative of the company. Employees often see it differently. They're paid by the company to do a job and you, the customer, can either make that job easier or harder. Check out this video gem from Randi Busse that explains what she calls the difference between an owner and a renter mentality. You probably know that not every employee is a great hire. The challenge is those poor hires end up serving customers. Imagine being in a job you don't like, working for a company you don't care about, and having no clear vision to guide you. That's a recipe for apathy. Smart companies create an ideal candidate profile to help them hire employees who will love their jobs. Managers often use incentives, games, and contests to motivate employees. It's based on the assumption that these employees need to be motivated. (They usually don't if you address Reasons #1 - #4.) Unfortunately, these incentives create a distraction where the employee cares more about getting the prize than serving the customer. They also create a disincentive to help customers in situations that don't contribute to earning an incentive. Customer service employees have to endure a lot of rude treatment. They're looked down on by condescending customers. They face the brunt of customers' anger, which can trigger an instinctive reaction to get away from that person. That's counter to what a customer service employee is supposed to do, but it's tough going to work every day and feeling like a punching bag. Many customers service employees have their work schedules changed on a weekly basis. It's hard to explain how disruptive this is if you've never lived it. An unpredictable schedule creates child care issues, disrupts sleep cycles, and makes it impossible to make plans ahead of time. This amazing New York Times article profiles a Starbucks employee whose ever-changing schedule made life outside of work extremely difficult. Employees tend to understand something's importance by how often their boss talks about it. Unfortunately, many managers don't spend enough time talking about customer service. If the manager displays that sort of apathy, then it should be understandable when employees appear to be uncaring as well. I recently wrote about a disturbing trend where companies blame their employees for poor service. A natural by-product of avoiding blame is to avoid taking risks. Employees tow the company line and become reluctant to bend the rules to help customers. This can come across as uncaring. In my book, Service Failure, I wrote about Camille. She was a hotel associate who felt pressure from her disengaged co-workers to provide poor service. Sadly, this happens a lot in customer service. Employees aren't always aware that it's happening. So, one uncaring employee can lead to a whole bunch. So much of customer service is outside the employees' control. Defective products, unfriendly policies, or a lack of coordination between departments can all make it hard for a frontline employee to help customers. Many employees lack the necessary empowerment. All of this adds up to create a feeling of learned helplessness, where employees perceive that any effort is futile so they stop trying. Emotional labor is the amount of effort it takes to display a certain emotion. If you're feeling happy, then it's easy to smile and show people you're happy. But, looking happy and friendly (key customer service emotions) becomes much more difficult when you don't actually feel that way. Over time, expending too much emotional labor can leave people feeling burned out. 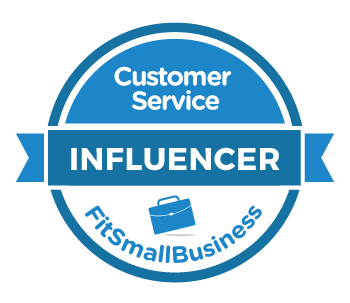 Customer service leaders must set a positive example for their employees. Many don't. They talk down to their employees. They treat customers indifferently. They think they're too busy to deal with customer service. (What the heck are they doing?) It's hard to ask an employee to be inspired if his manager isn't. 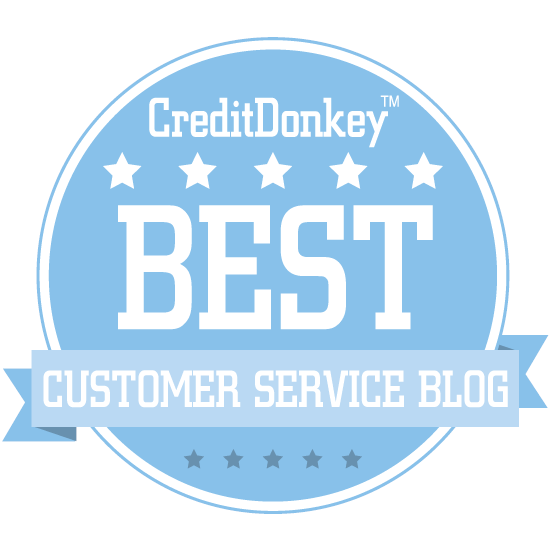 There are many things we can do to inspire more caring among customer service employees. If you're a customer, try to be a better customer. Treat employees with respect, kindness, and courtesy. Don't wait for the employee to be nice to you, even if you think that should be there job. I've seen many interactions turn from negative into positive because the customer went out of her way to be easy to serve. If your a leader, don't assume your employees care. Create a clear customer service vision so they'll have clear direction. Talk about service constantly so they know it's important. And, work like crazy to clear obstacles out of their way to employees feel confident that they can do a great job. That may seem like a lot, but you can't expect employees to care unless you do too.